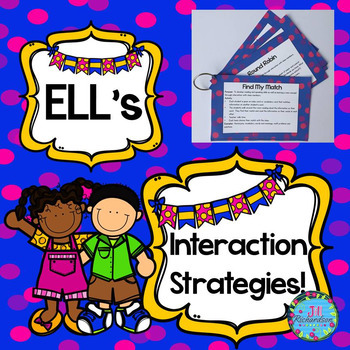 ESL Strategies to use with ELL Activities! 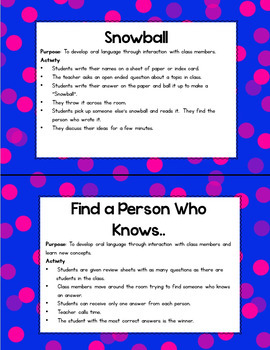 Great for ESL Learners & ESL Teacher! Do you forget to use different ESL strategies with your ELL's? 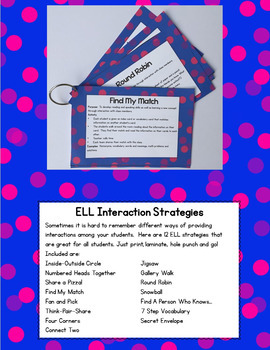 Try using these 15 ELL/ESL strategies that are great for all students. 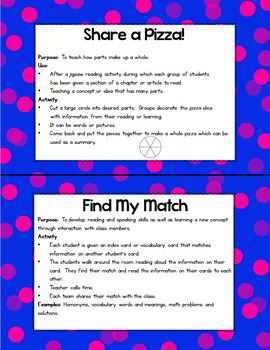 Just print, laminate, hole punch and go! THE BIGGEST WAY TO SAVE IS TO GET THE MEGA BUNDLE OF ALL 20 NEWCOMER’S NIFTY NECESSITIES UNITS - CLICK ON THE LINK BELOW! ESL Newcomer Roll and Read Classroom Words 1000 Follower Freebie! Click below for ESL/ELL Lap Books! Click below to watch a Video of this Fun Resource! ESL Meats and Protein Flip Book! Other ESL Resources You May Enjoy Using! ESL I Have Who Has Products!